Edward Teach, more commonly known as Blackbeard the Pirate, met his demise during The Battle at Ocracoke in November of 1718. “I think the people of North Carolina who knew him best would’ve agreed with me,” Trump said as the press conference came to an abrupt end. Former GOP Senator Jeff Flake tweeted he would have preferred Trump “honor the judicial process that took its course,” in the months before the Royal Navy ended Blackbeard’s career in piracy. 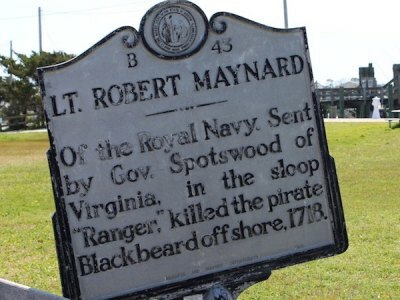 Blackbeard’s legend has become a very popular topic of discussion for Ocracoke Island residents and visitors, and his mystique and stories of his headless ghost wandering the woods and shoreline of what is now Springer’s Point – near where the battle occurred – have compelled ghost hunters and history buffs alike to explore the area. The pirate suffered 25 wounds before ultimately being decapitated by a sailor under the command of RN Lieutenant Robert Maynard.